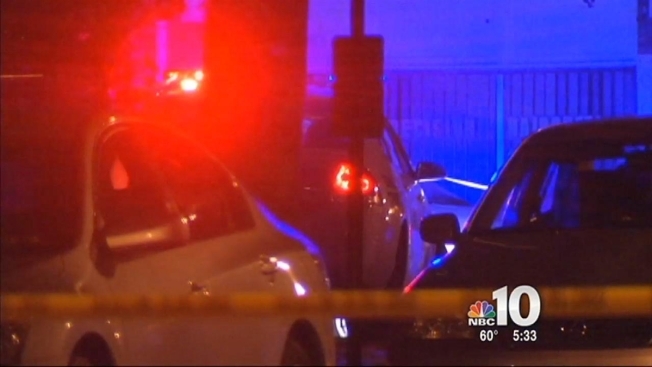 A gunman shot his accomplice multiple times and his victim during an armed robbery in Philadelphia late Friday night. Twenty-two-year-old Isiah Bebee approached a 43-year-old man on the 7100 block of North 19th Street around 10:45 p.m. and told him, "Give us the money" while his armed accomplice, 21-year-old Antoine Hardy, stood nearby, according to police. Bebee began going through the man's pockets, but the victim pushed him so Bebee was standing between himself and Hardy, authorities said. The victim, along with a 54-year-old male witness, began running from the scene as Hardy began shooting, officials said. The victim was shot in the arm and Bebee was hit multiple times in his legs, police said. Authorities found Bebee, of the 6900 bloc of Ogontz Avenue, at the scene and he was transported to Albert Einstein Medical Center in critical condition. He underwent surgery and is now in stable condition, according to reports. The victim, who was in stable condition, was also treated at Albert Einstein. Police located Hardy, of the 400 block of Devereaux Avenue, when they surveyed the area and spotted a 2000 Chevy Monte Carlo exiting a driveway along the 1800 block of Dallas Road. according to officials. The officers stopped the car and arrested Hardy, who was a passenger in the vehicle. Both Hardy and Bebee are facing multiple charges, including attempted robbery, theft, aggravated assault and other related offenses.